Thinking gutter cleaning? Call in the experts! LeafVac is Melbourne’s No 1 roof and gutter cleaning company employing safety-trained manpower and cutting-edge machinery. 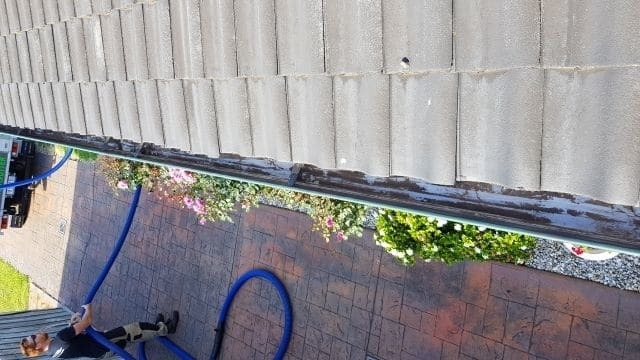 Our professional crews will use powerful vehicle-mounted vacuuming machines to pull out leaves, dirt, and debris from those gutters and downpipes, leaving them absolutely clean! 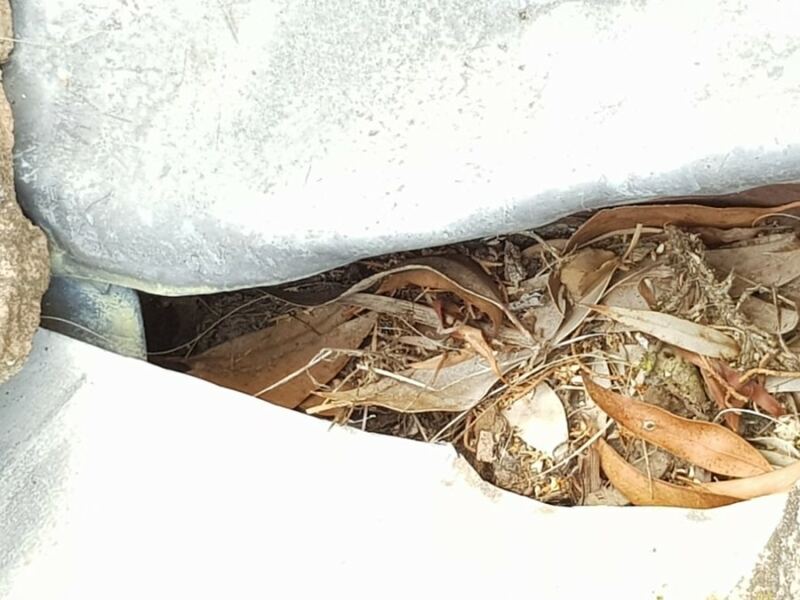 Dry vacuum cleaning is the quickest, and cheapest, no-nonsense way to clean the gutters and downpipes. Cleaning is carried out by using flexible hoses attached to heavy duty vacuum cleaners mounted on trucks. Our experienced workers find the safest way to access the gutters and vacuum away every last straw or pebble from the gutters. The downpipes are cleaned by fixing and sealing the hoses securely to the top of the downpipes, so the powerful vacuuming machines can pull out debris and blockages from the deep end of the downpipe. Leaf mess, bird nests, dirt and debris are pulled right into the belly of our truck, causing no mess and leaving nothing behind. When it’s time to get those gutters cleaned, hiring LeafVac ensures a quick, neat, and hassle-free job. Our streamlined gutter-cleaning process is safe and guarantees complete customer satisfaction. Our qualified gutter-cleaning supervisors assess the nature and scope of the job. We consider the type, height, condition, angle, and accessibility of the roof in order to determine the safest way to access or climb it. Depending upon the type and condition of the roof, we use ladders or elevated platforms to access the condition of gutters. Our safety-trained crews inspect the gutters and remove some of the blockages manually, if required. Sometimes we remove the mesh to make the vacuuming more effective. Based on the assessment, we carry the pipes to the roof. Our crew places the loose end of the pipe inside the gutters and downpipes and starts the machinery. We clean all kinds of obstructions from the entire length of the gutters. Then, we insert the vacuum pipe into the downspout and clean the downpipes right up to their deep ends. That’s it! Your roof gutters will be spotlessly clean within minutes. The best thing is you’ll never see the mess we take out. Dirt, debris, bird nests, and all other kinds of blockages will be pulled into the vacuuming tank and hauled away.